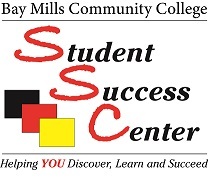 At Bay Mills Community College, we want students to achieve their goals and succeed in college. The staff located in the Student Success Center are available to assist students in developing the necessary skills and tools to succeed academically. The center is equipped with resources available to students in one location. The staff can help students map out an academic plan that highlights their academic goals and strengths to help the student overcome their challenges to succeed in college.